In my last blog post, I explored the concept of business owners viewing their insurance broker as a trusted advisor, someone they can rely on to provide risk management advice to help them achieve long-term success in their business. The post likened the insurance broker to other professionals, such as auditors, solicitors, and bankers who most often have long-standing relationships with the business and are recognized as important cogs in the corporate wheel. As I reflected on this concept I began to realize the much broader scope of responsibility the insurance broker has when compared to other professional services providers. For example, while auditors focus on the financial integrity of the business and solicitors generally focus on project-specific legal work, a good insurance broker is focusing on the overall risk management of the entirety of the operation. This includes helping a business owner in managing risk related to property loss, financial loss, injury claims, product liability, environmental liability, management liability just to name a few. In addition, we work with all the other professional advisors to ensure they have the proper risk management practices and coverages in place in the event that errors or omissions in their advice or service may cause financial loss for their clients. This reflection has led me to believe that insurance brokers, and more importantly, brokers who focus on holistic risk management, are not just another cog in the corporate wheel but more the cogwheel that holds everything in place and moves the gears of the organization forward. So that leads to the next question, what makes an effective insurance broker and how do you choose the right broker for your business? Let me start by saying, “All brokers can provide you with the coverage you want, but not all brokers will provide you with the coverage you need”. Simply put, there continue to be people in the field who do nothing more than fill out applications for insurance or replace existing policies with cheaper ones. Brokers who work within these parameters are nothing more than order takers and that results in the insured receiving only a subscription to an insurance policy that often times will lack the appropriate coverages which can be detrimental to the survival of the operations in the event of a loss. If they can’t answer this question they most likely fall into the “Order Taker” category and you should reconsider this relationship. If they are not equipped to help you manage your risk while helping manage costs, then what value do they bring to the relationship. 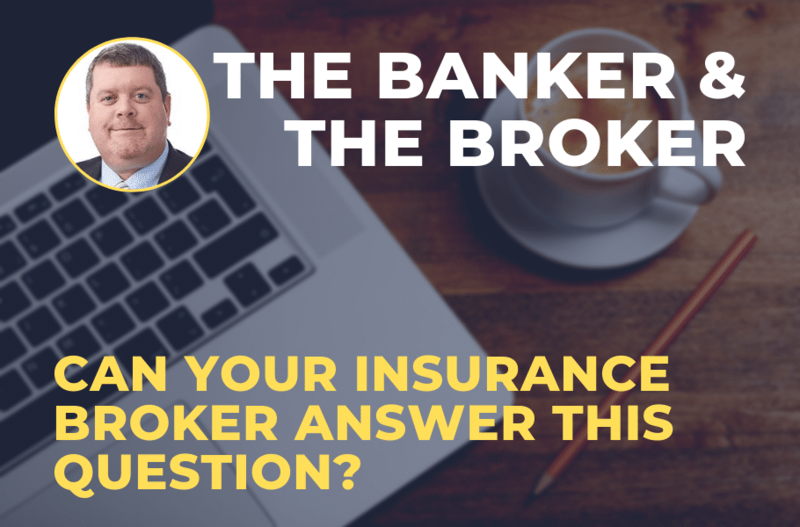 So what should you expect to hear from a broker when you pose the above question? Most importantly, an effective broker will tell you that they use a risk management approach with their clients. 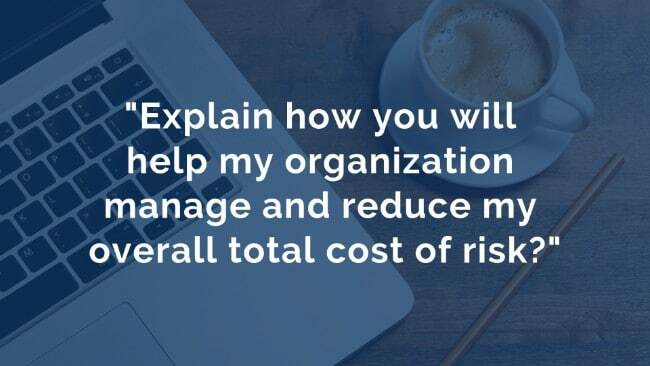 This involves helping clients identify all the risk exposures within their business and developing a plan to deal with these exposures in the most cost-effective means available to the organization. Risk management is not just about insuring losses but focuses on how to best manage an organization’s exposure to accidental loss. What markets does your brokerage use? Do you have a team approach to client management? Do you provide your clients with a Service Level Agreement? Do you have other clients in my industry and can you provide a reference? What is your claims management process? What other related services can you provide, and do you have partners you can bring to the table if necessary? What services, outside of insurance placement can you offer and how can they benefit my business? Once you are comfortable with the risk management plan developed and the ability of the broker to properly execute, it is of paramount importance to ensure your broker is committed to an ongoing re-evaluation of the plan. An effective risk management plan is not a “set it and forget it concept”. As your business evolves, it is important that your broker is committed to adapting your plan to reflect that evolution. Until then please remember, “All brokers can provide you with the coverage you want, but not all brokers will provide you with the coverage you need”.